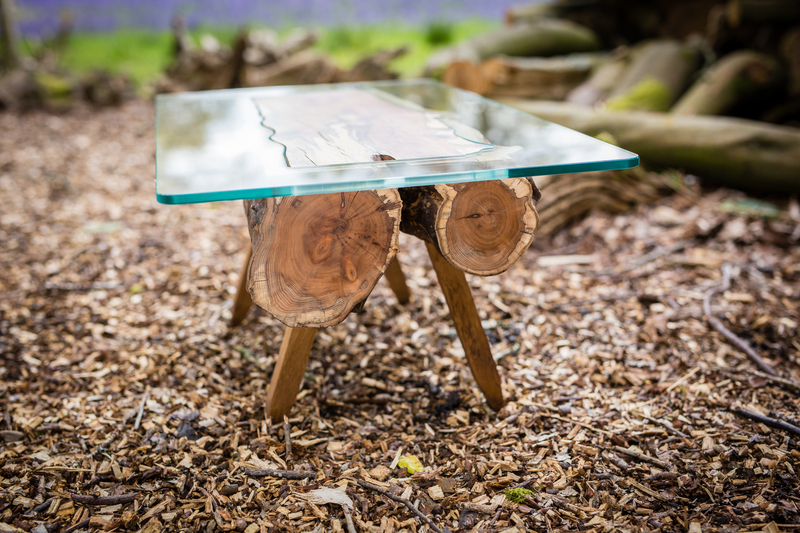 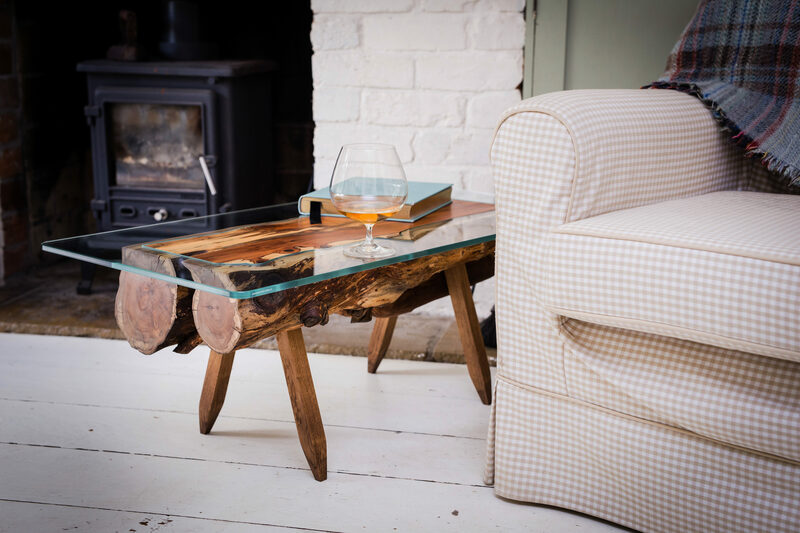 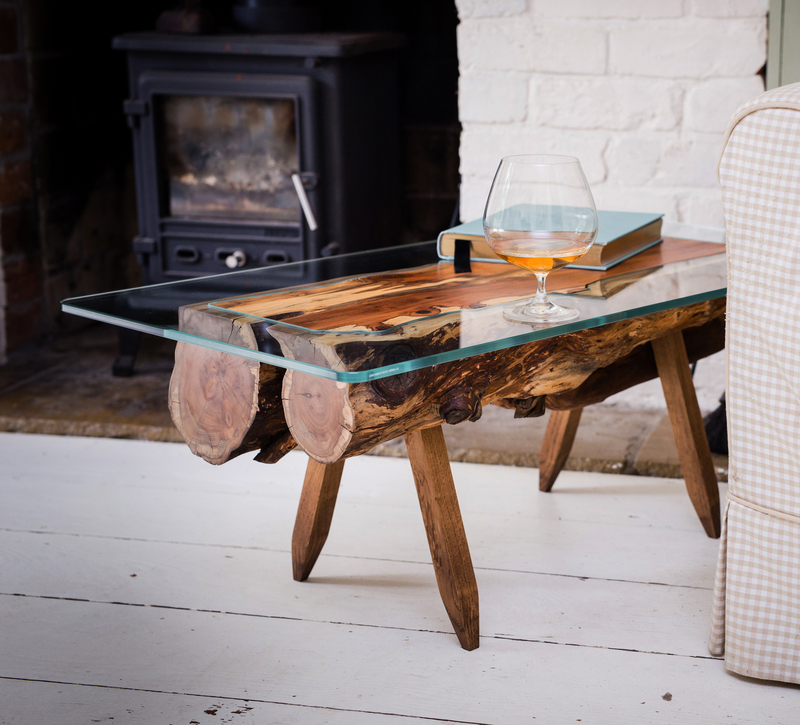 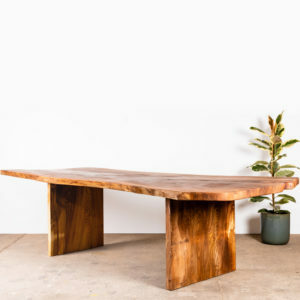 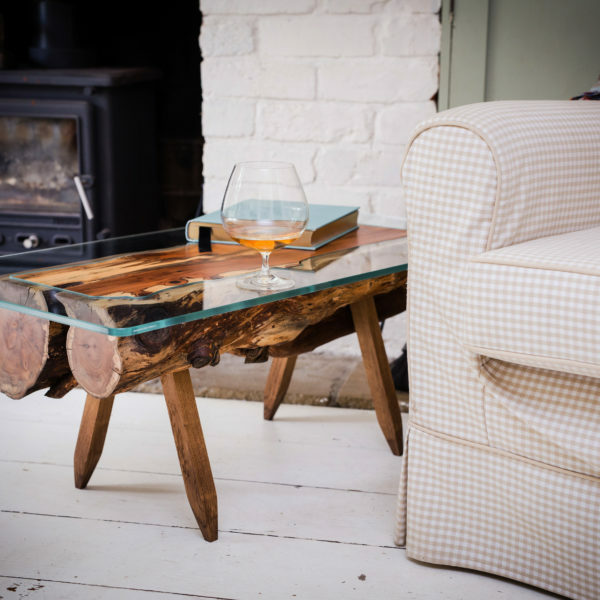 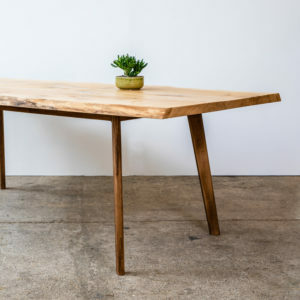 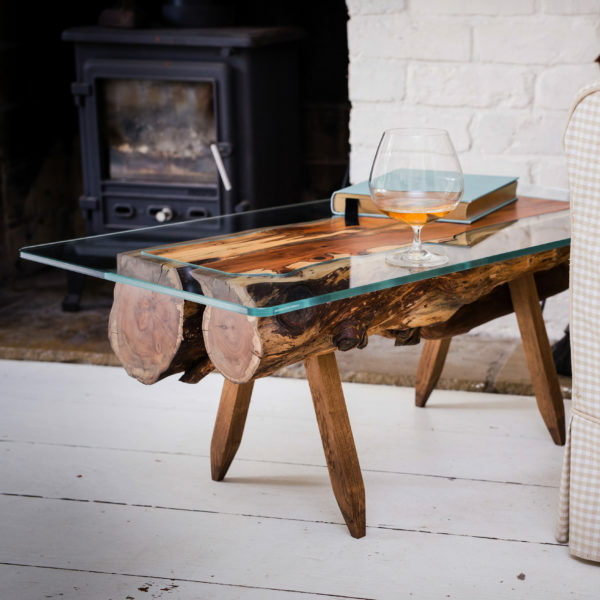 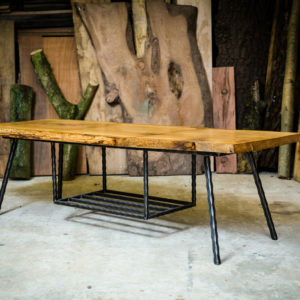 A bold glass-top table with live edges, deep yew underbelly and oak legs. 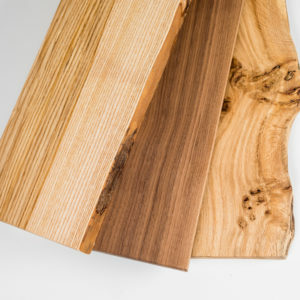 The English yew, air-dried for six years, has had its shakes, knots and cracks preserved with natural pewter. 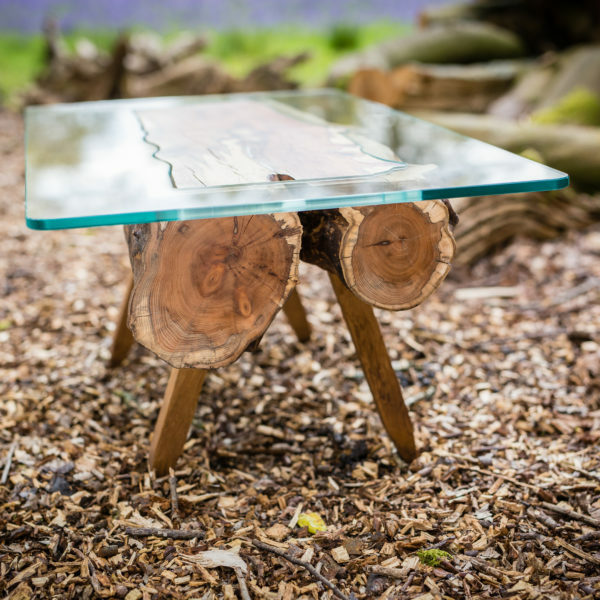 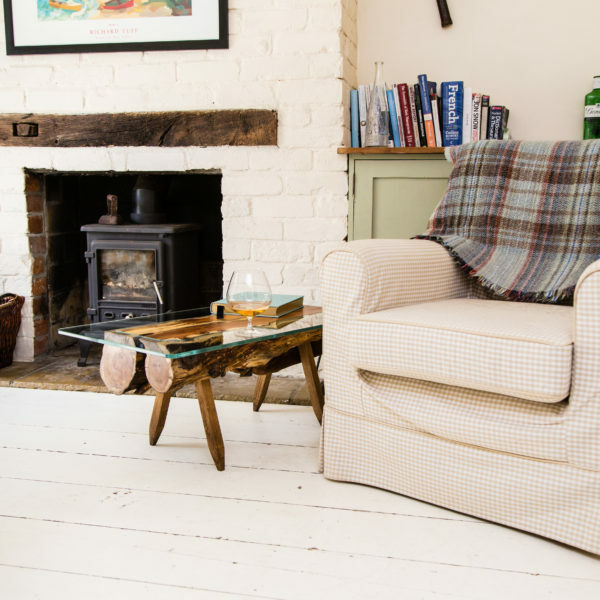 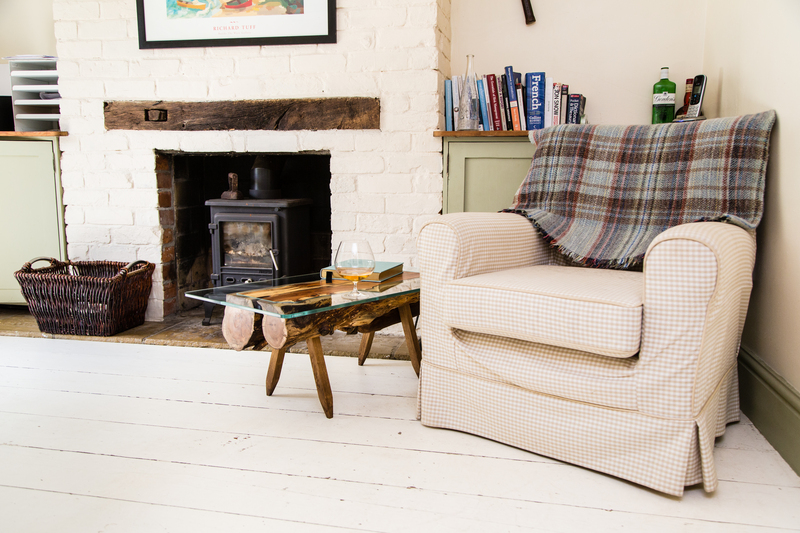 The oak legs are dyed in traditional Van Dyke crystals, made from walnut husks, for a darker hue. 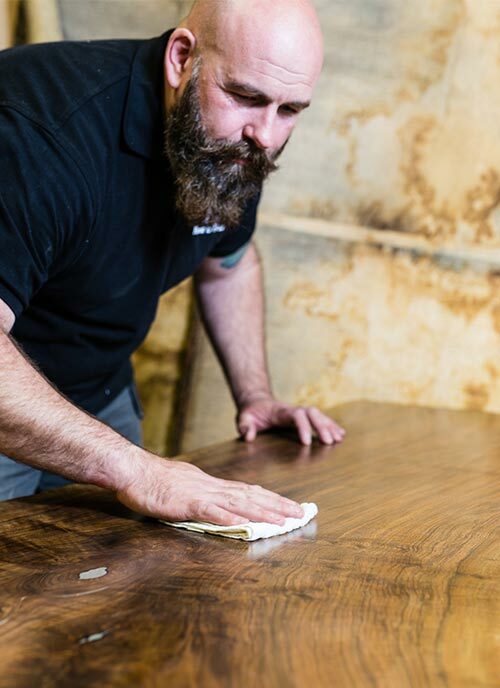 A subtle yet resistant finish ensures the piece will tell its story for decades to come.